The George and Carol Olmsted Foundation has expanded its annual grant to UNG's Corps of Cadets to provide opportunities for Atlanta-area cadets at historically black colleges and universities to take advantage of overseas cultural immersion trips. Pictured at the agreement signing in the front row, from left, are retired Army Col. Mark Elfendahl, vice president of the Olmsted Foundation; UNG President Bonita Jacobs; and Army Lt. Col. Michele B. White, Georgia State University professor of military science. In the back row, from left, are retired Army Col. James T. Palmer, UNG commandant of cadets; Army Col. Joshua D. Wright, UNG professor of military science; and Army Sgt. Maj. Vaughn Overton, UNG chief military science instructor. The George and Carol Olmsted Foundation has expanded its annual grant to the University of North Georgia's (UNG) Corps of Cadets to provide opportunities for Atlanta-area cadets at historically black colleges and universities (HBCUs) to take advantage of overseas cultural immersion trips. UNG received a $10,000 grant from the Olmsted Foundation in 2017 and a $20,000 grant in 2018. The 2019 grant is increasing to $26,000. As part of the effort, the Olmsted Foundation, UNG and Georgia State University ROTC have entered an agreement for cadets from HBCUs Morehouse College, Spelman College, and Clark Atlanta University to be part of these overseas trips, which typically last one to three weeks. Cadets from those three HBCUs participate in Georgia State's ROTC program. Retired Army Col. Mark Elfendahl, vice president of the Olmsted Foundation, said the program's expansion will offer great opportunities for minority cadets. "What this program will do is provide some exposure to foreign cultures, foreign countries and languages," Elfendahl said. "That exposure is going to contribute to them becoming better junior officers in the Army and more capable leaders wherever they may be deployed in the world." UNG President Bonita C. Jacobs thanked Elfendahl for his program's investment in UNG. "Your support is so important to our mission," Jacobs said. Already, 17 UNG cadets have gone overseas through Olmsted Foundation grants. "This highly sought-after opportunity gives many future military officers their first overseas experience," according to the Olmsted Foundation website. "These trips are assigned in a non-English-speaking country with exposure to a national perspective and a focus on the role of U.S. policy in that region." Elfendahl hopes taking part in the undergraduate program will expose cadets to the Olmsted Scholar Program, which supports officers pursuing graduate degrees overseas. 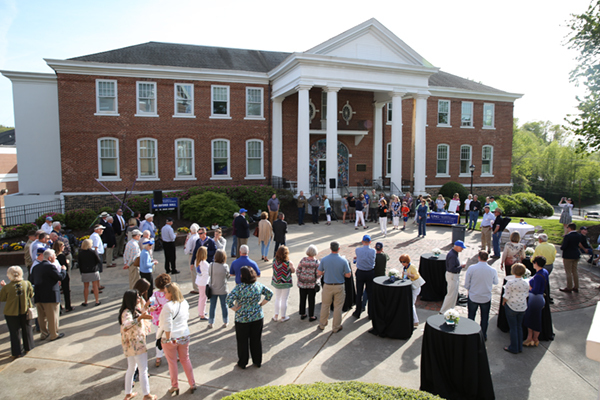 The Olmsted Foundation monitors the effectiveness of all six senior military colleges in the nation, and Elfendahl said UNG's organization and execution made it the prime candidate for this partnership. "We knew that was a strong program that we could rely on going forward," Elfendahl said. Lt. Col. Michele B. 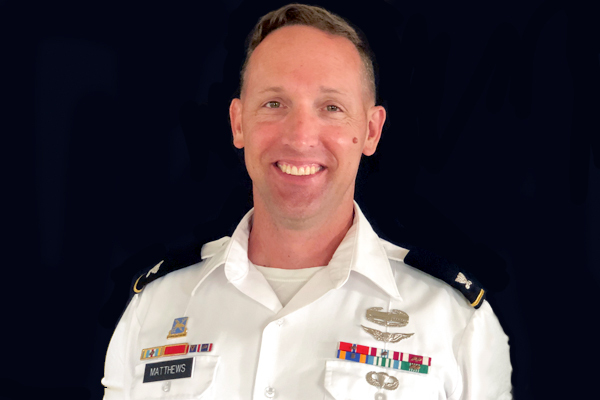 White, professor of military science at Georgia State, called the arrangement an "exceptional" partnership. 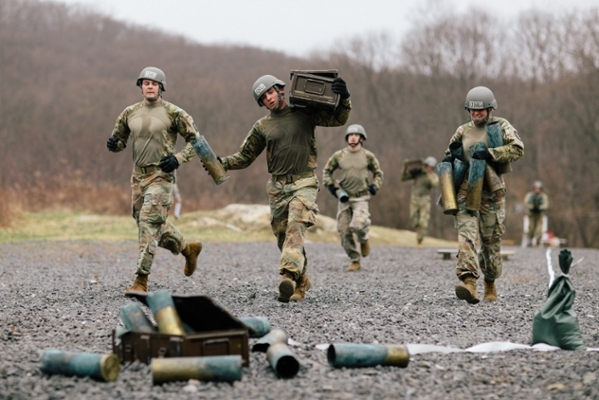 "It gives the opportunity for exposure to the Olmsted Foundation to cadets before they start their career so that when they do begin their journey as an Army officer that they have exposure to apply for the (graduate) program as an active officer for themselves," White said. "Or they can spread that information to their peers, who may also want to apply and get this wonderful opportunity for education abroad."